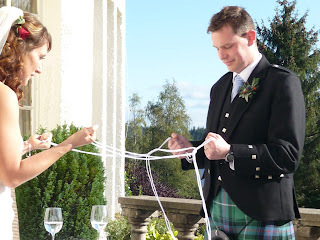 Andy and I celebrated our 1st wedding anniversary weekend in the trossachs. We took my mums camper van to loch lomond and pitched up at a campsite in Arrochar. It rained hard all day Saturday but luckily, I had booked us a lush day luxuriating in the carrick spa. We followed this with a soggy walk in the hills and then a Cosy night in the van. Sundays weather was even more unsettled so we took a boat trip across loch lomond. I was soaked through and cold to the bone after an hour on deck. You can imagine my joy when Andy revealed to me that he had booked us a night in forest hills hotel - the very place that we were married at one year ago! It was a very special evening. I felt quite emotional being back: it was such a happy day and the memories of came flooding back . I can't believe that it has been a year! Andy and I have had the most wonderful year, I have loved every second of married life and look forward to many more. Sadly, we both forgot our cameras, so I have no pictures to share. I have instead included one from our big day. 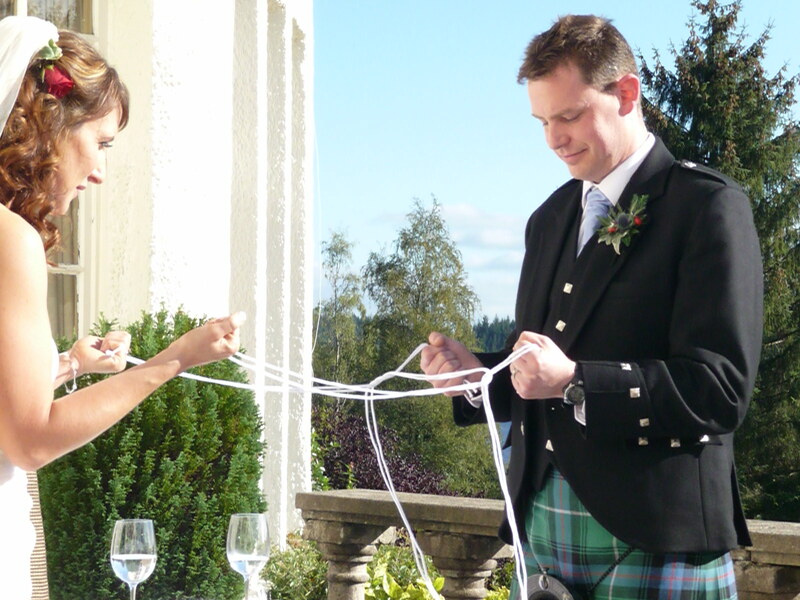 Glad to hear you had a good anniversary, we were very lucky with the weather last year on your big day.